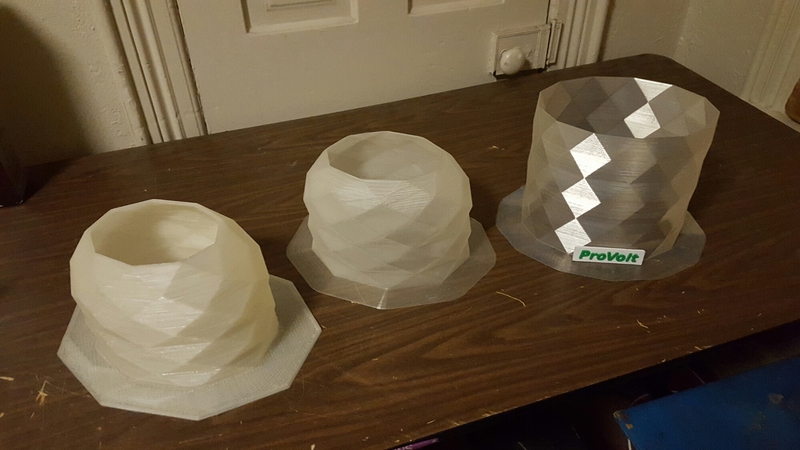 I have wanted a 3D printed top hat for a long time. Here you can see the evolution of my hat so far. The first one was very thick. You could probably stand on it, and it’s so heavy my neck started hurting after the first time I wore it. The second is much lighter, but retains the rounded top which didn’t have enough pop to it for my taste. The latest design fits my head better, is light enough to be comfortable, and most importantly has a bit more of the shocking quality that top hats were invented to convey. Previous PostCasting a Work of ArtNext PostIt’s Water Jet Cutting Time!